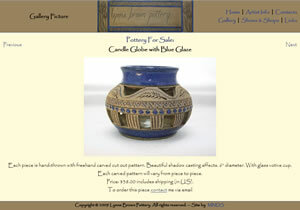 Overview: Lynne Brown is an artist whose work is beautiful pottery. Her site showcases her work, provides information on where to see her work and provides contact information. Technology: This is a fully-custom PHP/MySQL site with an Admin Area through which the owner can manage the site content.